Way to go MLS! We collected over 150 pounds of candy for the Candy Drop and over 20 students who turned in candy won tickets to JUMP, courtesy of local dentist Dr. Dave Maybee. 1) The MLS PTO is sponsoring a Candy Drop. This is intended to help kids understand the fun of Halloween but minimize the impact of candy on our daily lives – diet, sugar addiction, and activity level. To participate, students may choose to donate a portion or all of their Halloween candy. A drop box will be located at the entrance to MLS between Thursday, November 1 and Friday, November 9. Candy should be placed into a plastic grocery bag, zip lock, etc. that can be secured. Students should place their name, grade and homeroom teacher’s name on a piece of paper inside their bag. Winners will receive a pass to JUMP and 1 LUCKY student will get to teach PE. Donated candy bags will be drawn at random on Monday, November 12th. Click here for more information. 2) This year’s Annual Fund Drive has begun. The Annual Fund helps raise money to provide a variety of programs and services at Meriwether. All donations of any amount make a BIG difference. Click here to learn more about this year’s fund drive and to make a donation. 3) Kids Market is coming!!! This year’s Kids Market will be held on Friday December 7th from 6:30 to 7:30 at the school. This popular event is and annual favorite and encourages our kids to exhibit their entrepreneurial skills by making, marketing and selling their goods. Click here to register as a vendor and click here for more information. One More Week to Join the Birthday Book Club! 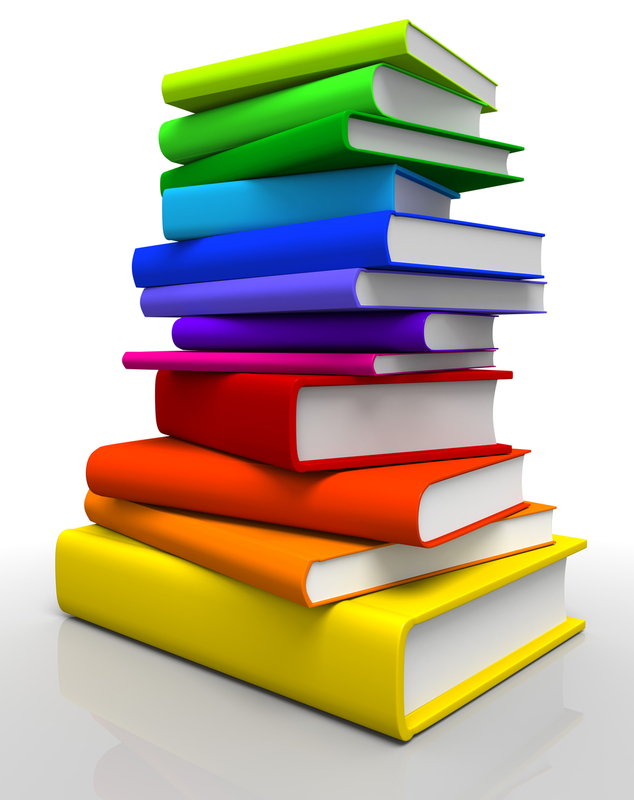 Join the Birthday Book Club this school year! What's better than fresh new books in the library? Attending a cupcake party where your child is the first to check out the new title! Flyers will be sent home this week with a donation form. Save $5 on your first book by ordering online here. Order before November 2nd so you don’t miss out on this great way to memorialize your child’s years at MLS. 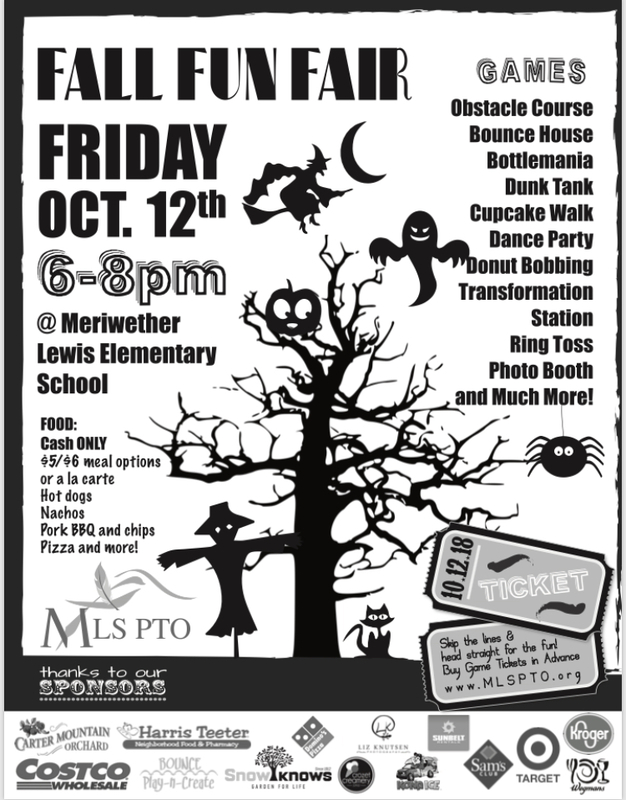 The Fall Fun Fair is Friday, October 12th! We hope to see you at the best Fun Fair in town! Dunk your favorite teachers (no drought this year so the dunk tank is baaack!,) be a judge for the pumpkin decorating contest (click here for contest details), enjoy the donut bobbing and cake walk, eat lots of food and play games! There will be food will be for sale - CASH ONLY! Online ticket sales have ended but you can still buy tickets at the fun fair - CASH ONLY!